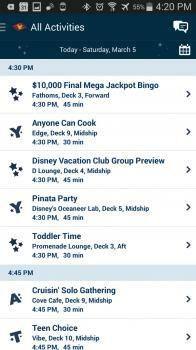 Disney Cruise Line Navigator App #disneycruiselinenavigatorapp: A VERY Important tool for everyone on a Disney ship or planning on getting on one! Tigger Travels - Family Adventure Journal Photos From Tigger`s Travels and MORE! 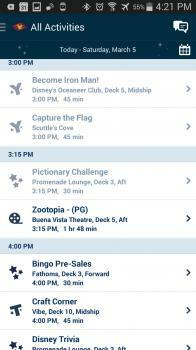 Disney Cruise Line introduced their Disney Cruise Line Navigator App back in 2014 and it is a great success. 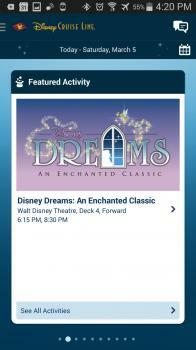 Anyone planning on being on any of the Disney Ships should have it on their smart phone. Here is a little about it. 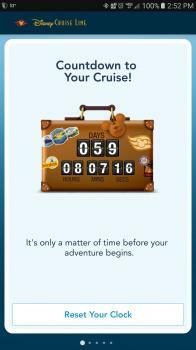 If you are NOT on the ship the only useful thing the app will do is create a countdown to your next cruise. As you know, Tigger is a HUGE FAN of counting down to vacation time as seen in his Tigger Travels Disney Animation Vacation Countdown Numbers. 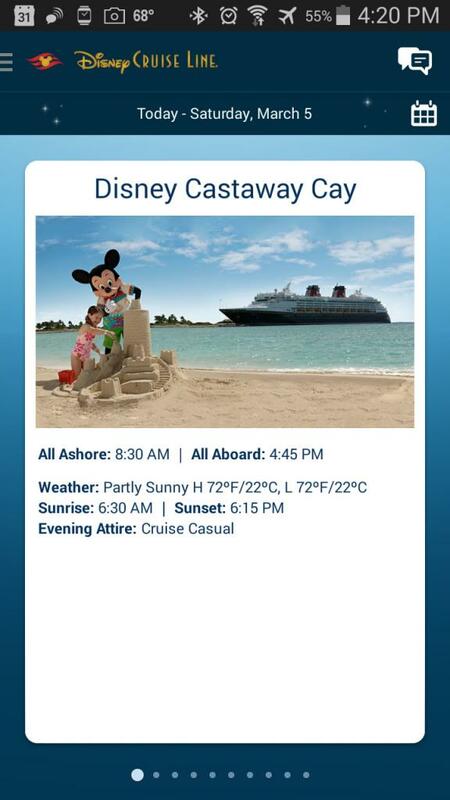 The app will allow you to enter the date of your next Disney Cruise and every time you open it you will see how many days, hours and seconds till Mid-night of the morning you board. 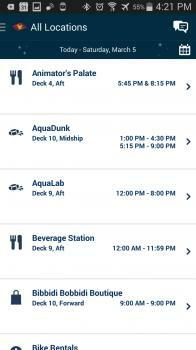 On board any Disney ship, the app will come to life and serve as the BEST source for everything on the ship from daily menus, shows, events and much, much more. Occasionally, there is a change in the schedule that is made after the daily Navigator is put out. The App will have those latest changes as well. Note on the Menus: on occasion, we go to dinner and there is just not anything on the current menu that sounds like what I want. 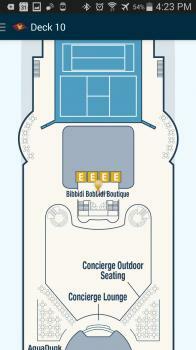 You can use the app and look at menus from other dining rooms and get something else! For me it is Scallops!! YUMMY!! First and foremost, you MUST be careful connecting to the ship's wifi. If you log on to the Internet and do NOT log off you will quickly exhaust your available bandwidth and things can get expensive fast! If you have any questions ask at the computer help desk on the ship. All ships have one. 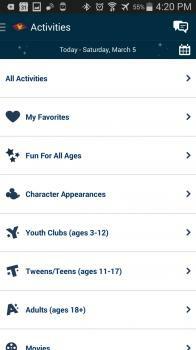 For me, I NEVER log on to the Internet with the phone on which I use the Disney Cruise Line Navigator App. 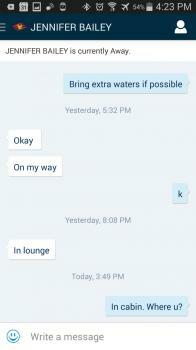 First, I put the phone into Airplane Mode and LEAVE it there. Next, I turn on the WiFi and connect to the DCL Guest network. No LOG IN is required just to hook up. At this point, your app will work. Most important, be sure to get the Disney Cruise Line Navigator App before you leave. 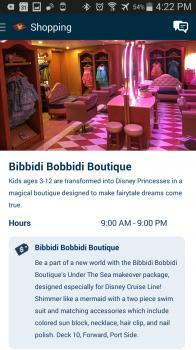 There is a page on the Disney Cruise site that tells you where to go here on the Disney Cruise Line Navigator App page.